For the user of stabilized equipment (virtual horizon). TC in (mini jack 2.5mm) is used to gather Time Code information (LTC type); TC can be provided by the camera or by a Time Code generator. Lens Reader: permits the connection between the monitor and lens equipped with an external connector providing a serial link: Zeiss (CP3-XD), COOKE, some Angénieux Zoom. The communication protocol is RS232 which is compatible with the /i protocol. This link is therefore dependent on the lens used, not on the camera. Ethernet: permits the connection to camera providing Ethernet access; data gathered from this link is extremely useful to populate lens files, particularly Zeiss files which require extended data. This link also helps to complete the information missing on the SDI metadata extracted by the StarliteHD. 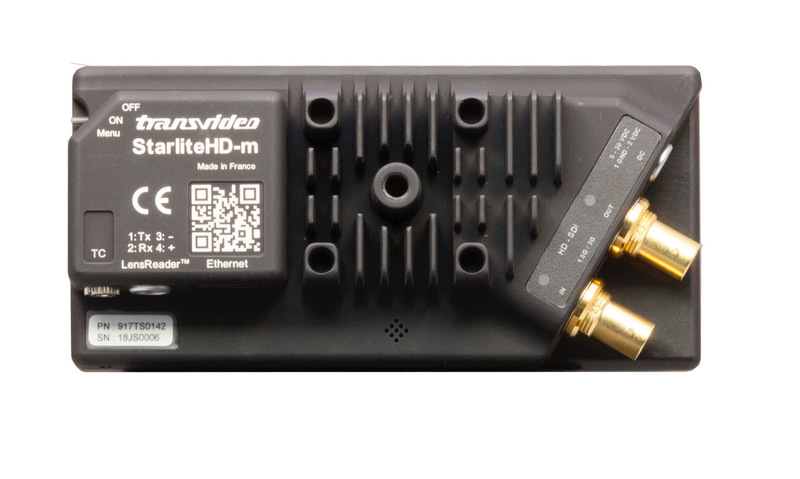 Hence the StarliteHD-m is compatible with all cameras providing an SDI output. 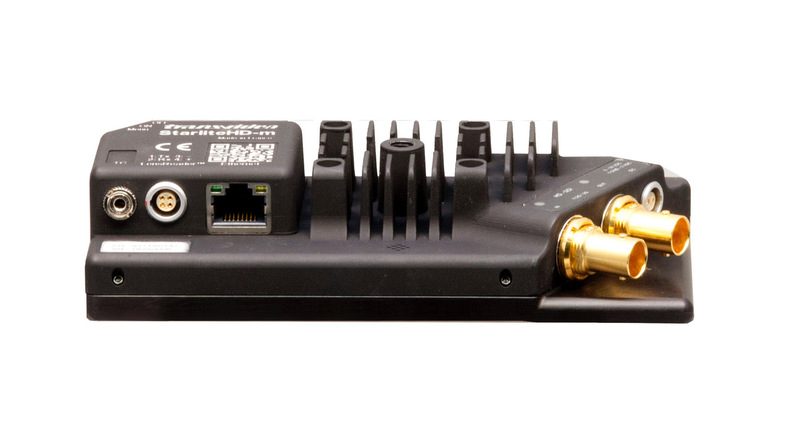 Possibilities and functionalities will vary depending on the camera and lens type associated to the StarliteHD-m.
From an RS232 connection, the StarliteHD-m knows how to process data from/I compatible lenses: Cooke, Zeiss, Angénieux. Recent developments of lenses give access to new information: shading, distortion, inertial data and illumination tables are now available, only through a physical link. Lens concerned are the Cooke supporting /i3, and new Zeiss XD family: CP3-XD. Moreover, development of post-production plugins and media management software allow the processing of such data.